I love a bargain and online has a bargain at every corner... the problem is when you are an educated consumer, you may hesitate about handing a company you don't know, your credit card information and your address.... We've all read the scam reports and it makes sense to be leery. Last week I took that risk when I found bolster pillow forms at a fraction of the cost I was looking at to buy them locally or even my most trusted online sources. I wanted bolster pillows to break up my regular square, rectangle and round pillow, but a twenty dollar price tag on each form was making me do the hesitation waltz! Since the price I was finding was beyond my reach, I started doing so searching and found Pillowflex.com. I scoured their entire site and was amazed at the HUGE selection of sizes and shapes of the pillows and forms they offered. Their prices were enough for me to take the plunge and start placing an order. The only problem I ran into was checking how long the shipping would take. Since it appeared to be a broken link issue, I picked up the phone to ask a human... and had a real human answer the phone right from the moment the phone was answered. The person answered the phone with the name of the company, was courteous and found the answers to any question I posed. I know many of you have better local resources than I do but for me, locally I was able to find one size bolster pillow. The huge selection of sizes available to order from Pillowflex.com almost made it impossible for me to make a final decision. Over 100 sizes of bolster pillows is a lot to digest when you were facing one choice. So I went and measured the length of the futon arms, then measured the arms of the couch and played with a tape measure to decide on a size for the throw pillows on my bed. When you place an order, you choose the shipping option. Many times once the cost of shipping is added to an online order, the costs will stop me from placing the order. That was not the case at Pillowflex.com. When I compared the final cost of the order with what it would have cost me locally, I submitted the order. I had asked about the delivery time because I am not a patient person once I have decided to make something I want to dive in and sew. I was pleased that the order came in exactly when I was told it would. Since the cost associated with the pillow forms was so much cheaper than my local cost, I was concerned that there might be a quality issue, but justified the risk with the fact that it was only pillows for decorating. I was once again pleased when I opened the box. Although the box had gotten crushed and slightly ripped in shipment, the pillows inside the box were wrapped in plastic and unscathed. Although the first glimpse showed squished pillows, as soon as the pillows came out of the packaging, they returned to the shape I had ordered. 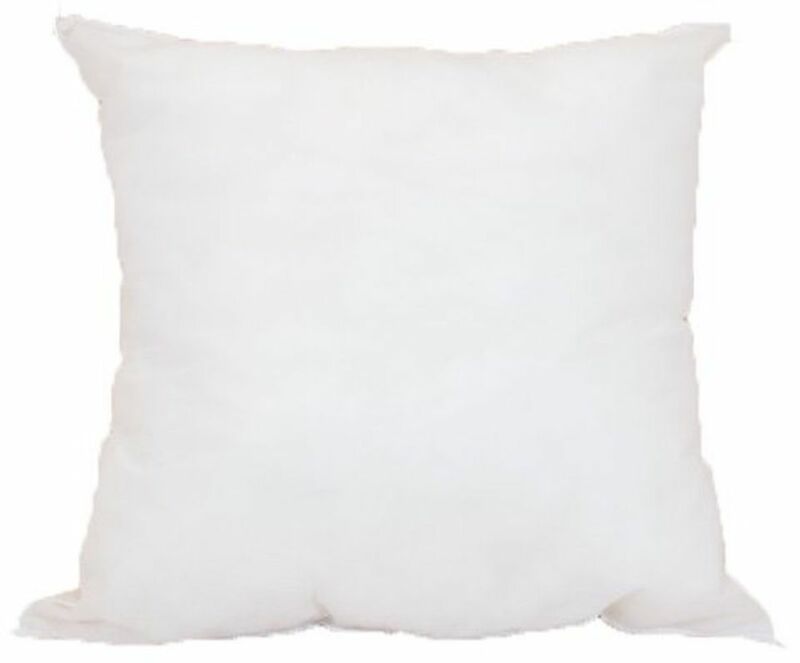 They are standard pillow forms with non-woven 100% polyester covering and 100 % polyester filling. Since opening the box a week ago I have played with the forms many times and they always bounce right back to the proper shape. Pillowflex.com dopes not send patterns or covers for the pillow forms. You are ordering directly from a company that makes the pillows for wholesale and retail sale. Don't worry though because this site does offer you a variety of free pillow patterns.